Welcome to Soccer Box, and the Porto Accessories and Merchandise shop. 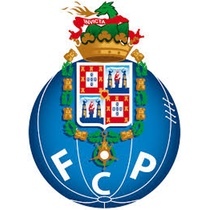 Porto is one of the gems in the Portuguese topflight, the Primeira Liga. Soccer Box stocks the home and away kits in addition to this fantastic selection of Porto football accessories. Wearing and using team merchandise is an excellent way of showing your support and camaraderie with the team. We have a small selection of Porto football merchandise available, whether you are shopping for yourself or as a gift this is a great place to look for Porto football accessories. Porto generally sits high up in the Portuguese football league with thousands of fans showing their team pride at every match by wearing the football shirts and additional Porto football accessories and merchandise. Browse the selection of Porto accessories and merchandise available and place your order online today! Porto is a big team in a relatively small league. They are one of only 3 clubs to have never been relegated from the Primeira Liga. Porto has won more titles and honors than any other Portuguese football club therefore, ensuring a massive following both within Portugal and beyond. Football fans show their support in a variety of ways. At the game Porto football shirts and jerseys are worn alongside other merchandise to create an overpowering look of support. For fans not attending the game or on non-match days wearing the Porto shirt may not be appropriate. However, you can hang accessories such as the Porto clock in your home and show your support subtly whatever the day of the week. One of the best selling football accessories has always been a scarf. At Soccer Box we stock the Porto scarf in our merchandise store. A scarf is a versatile piece of football merchandise. If you live where the weather is cold you can wear your Porto scarf every day and show your team pride. Alternatively, a scarf can be waved at the game or displayed in your home or car highlighting your team allegiance. Browse the selection of Porto football accessories and merchandise. The entire Porto merchandise collection is designed using the traditional home kit color scheme. The accessories will perfectly coordinate with your Porto home football shirt. Most of the Porto football merchandise also includes the club crest and logos. As a fan of the Portuguese football league and Porto football club you may also be interested in some of the other football shirts, merchandise and accessories that are available at Soccer Box. Why not consider shopping for the latest Portugal football jerseys and merchandise. Portugal is a popular national team that is due its 1st major international trophy. Show your support at the next UEFA European Championship or World Cup with Portugal football accessories and merchandise. Soccer Box is an online football store; we stock one of the largest selections of football accessories and merchandise available. All of our shirts and accessories are official and licensed products. Make us your favorite place to shop for all your football merchandise and accessories. Get Your Porto Accessories and Merchandise at Soccer Box and Choose from Express and International Shipping Options to Suit Your Needs!